Vacation rental condominium. 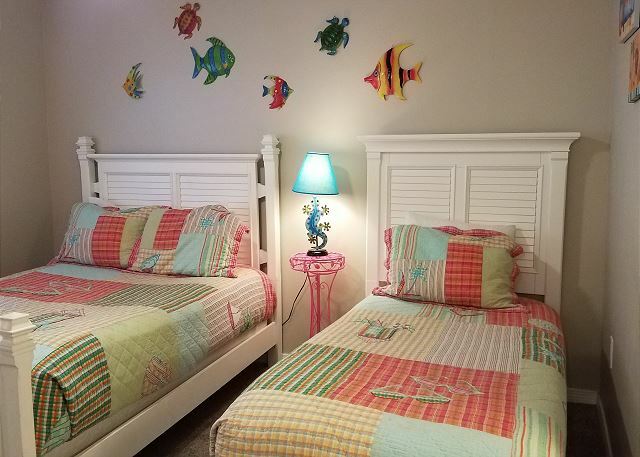 Sleeps 7, 2 bedrooms, 2 bathrooms. No pets allowed. 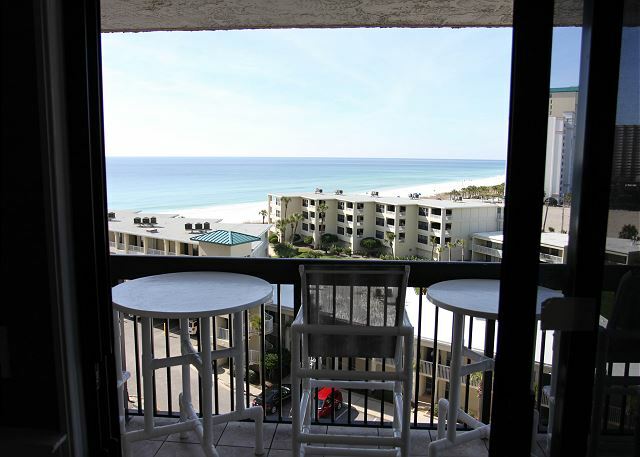 This 2 bed and 2 bath condo at Sundestin is located on the sugary white sands of the beautiful Emerald Coast. 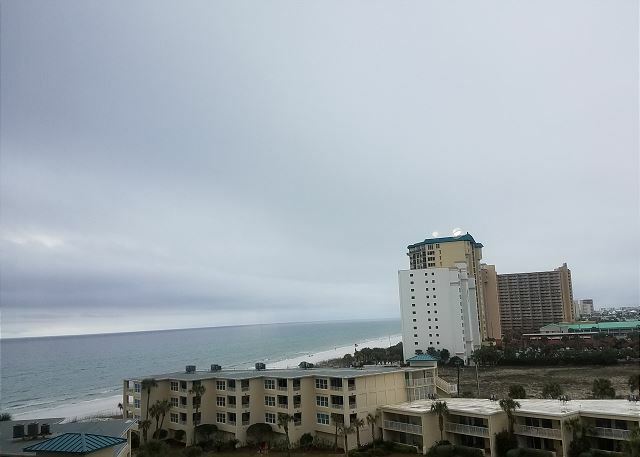 Enjoy views of the Gulf of Mexico from this 8th floor condo with private balcony. 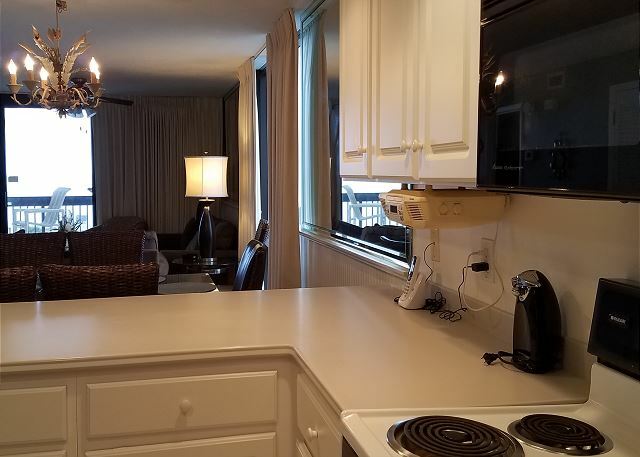 This 2 bed, 2 bath gold rated unit has it all. 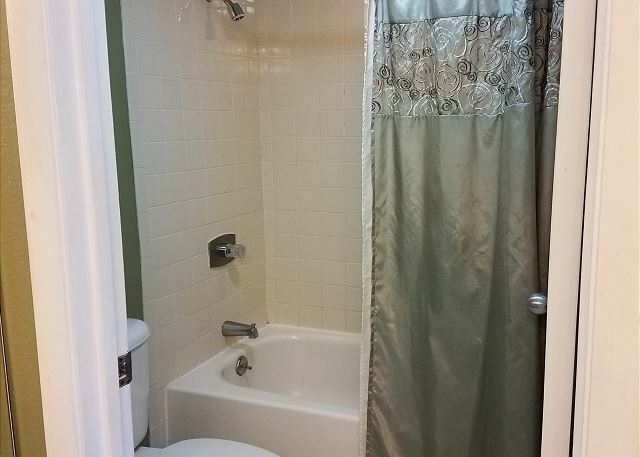 Tile floors, carpet in the bedrooms are only a few of the recent renovations. Spacious kitchen that has all that you need. 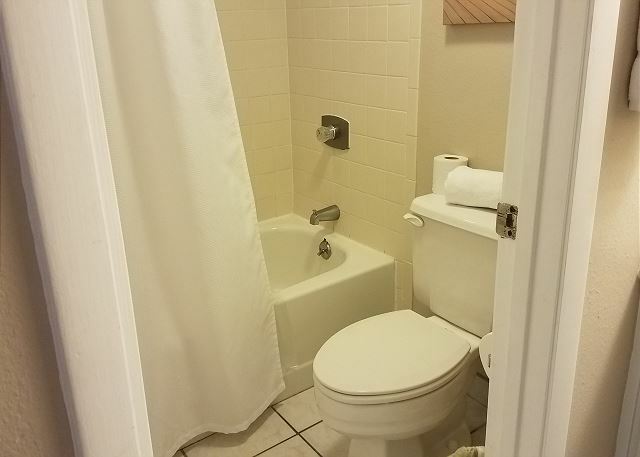 This unit has private bathrooms in each bedroom. 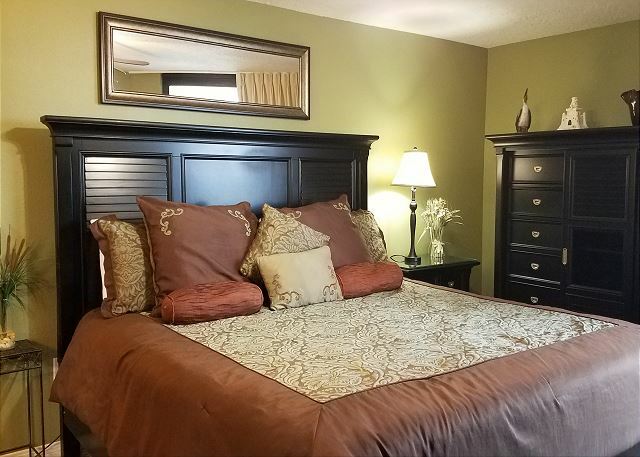 The master bedroom is spacious and has a king while the second bedroom has a twin and a single in it. There is also a sofa bed in the living room. 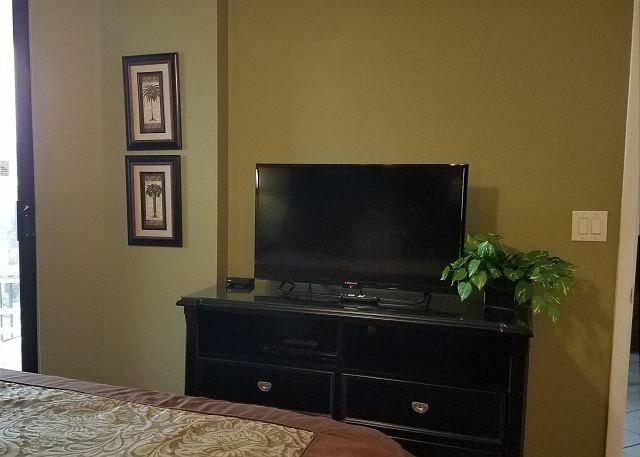 All rooms have flat screen TV's with DVD players. 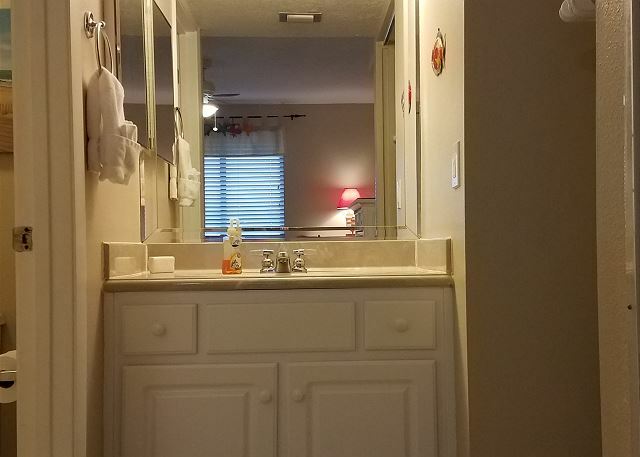 Sundestin Beach Resort offers many amenities for your enjoyment. 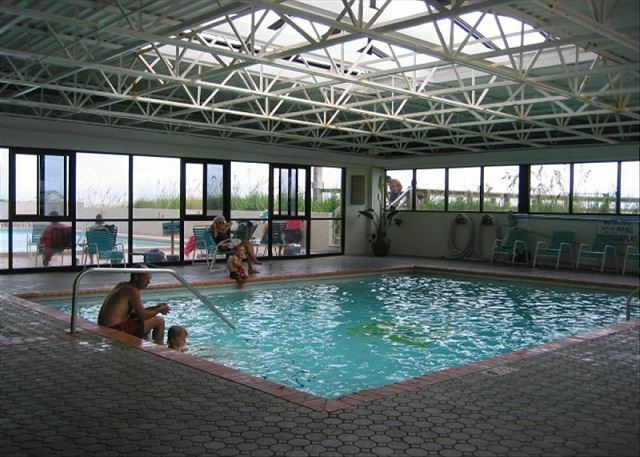 These include indoor and outdoor pool, beach service, kids activities (seasonal), whirlpool, fitness room (includes steam, sauna & whirlpool), on-site restaurant, tiki bar (seasonal), and a coffee shop. There is seasonal beach service courtesy of the owner. 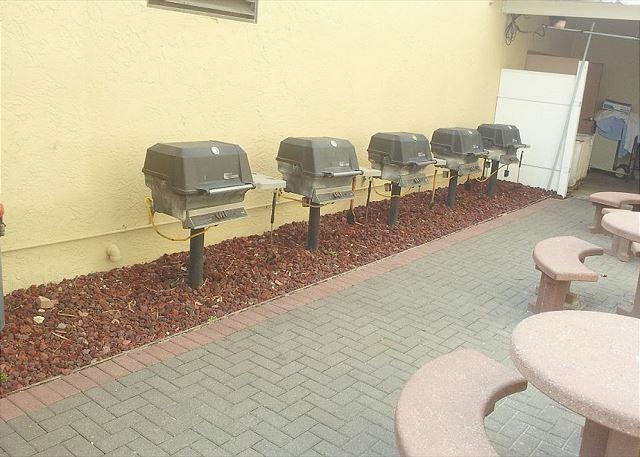 There are BBQ grills here to cook your catch or you can make plans to eat at the many restaurants near by. Many restaurants are so close, you can simply walk. 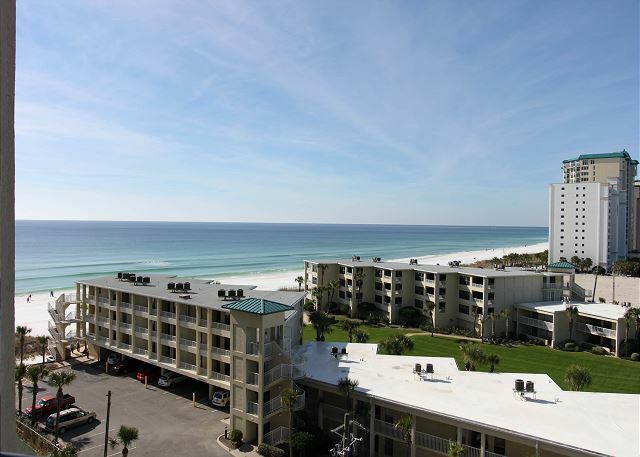 Sundestin is in mid Destin, close to everything! Sundestin sits back off the road and is beachfront. It is a great place to vacation and guests return here year after year! 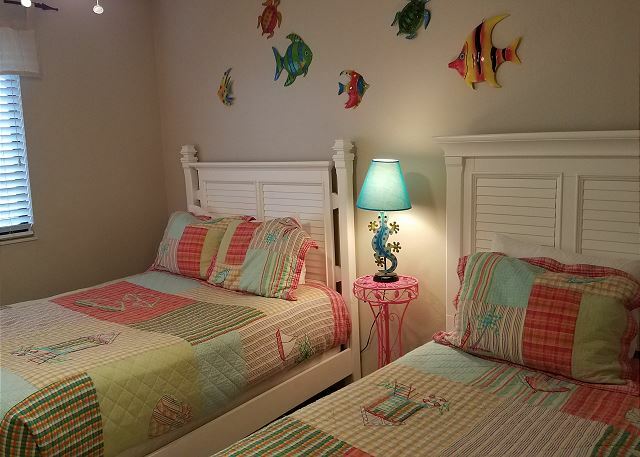 Once you experience Sundestin Beach Resort we are certain you will want to return too! We always keep our calendars up to date. We are close if you need something. We have provided a book of our favorite things in the condo for you: favorite restaurants, shopping and things to do. 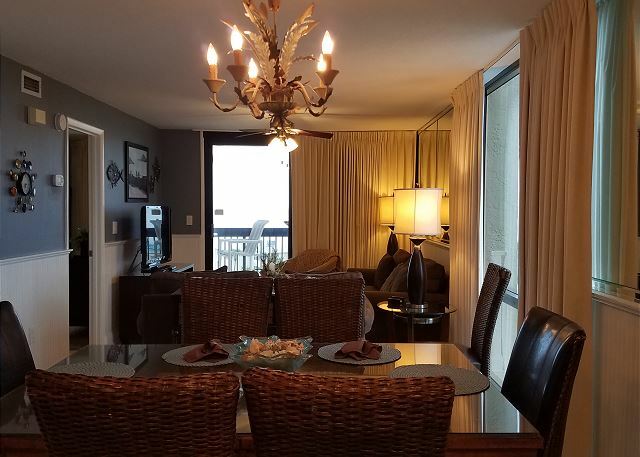 Please see our reviews to see what others say about this great condo. Disclaimer: Beach'n Destin is an independent company that is not affiliated with, sponsored by or associated with Sundestin. Thanks for the great review, and I hope we will see you back again soon. We visited the first weekend of November and were lucky to still have some warm beautiful weather. The rental is right on the beach so it's nice to walk right out on the sand. Since the weather was starting to get chilly in the evening we played in the inside heated pool. 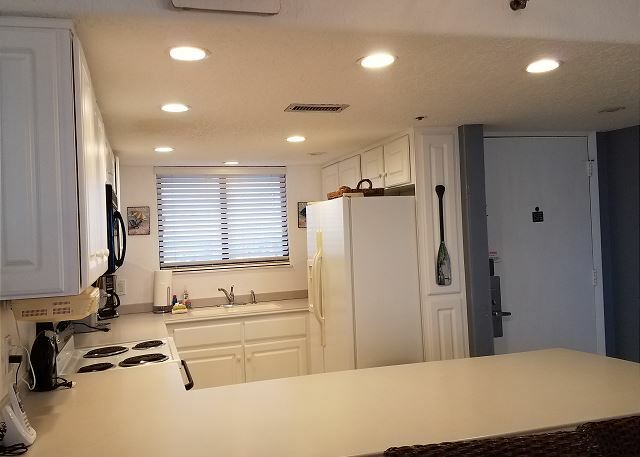 Location is great and close to many restaurants. 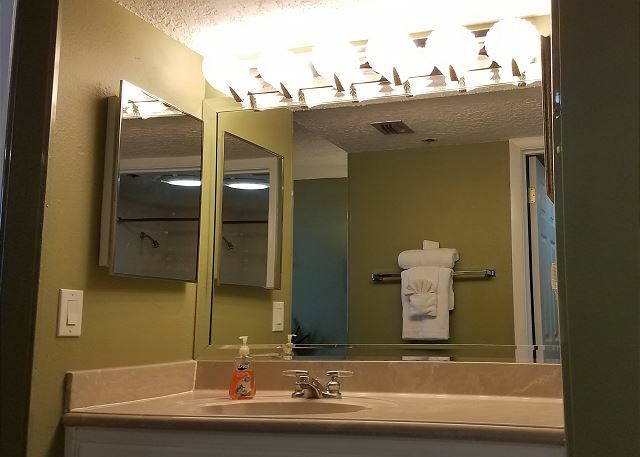 The unit was very clean and decorated perfectly. We would stay here again for sure. This is my first time at this condos complex. 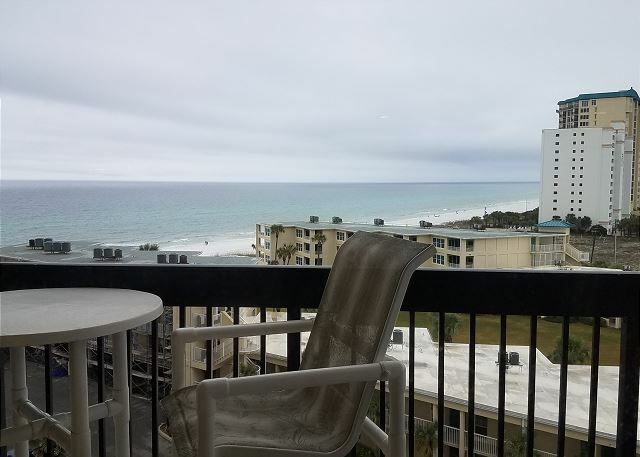 The view is perfect with the beach in front and white sands. 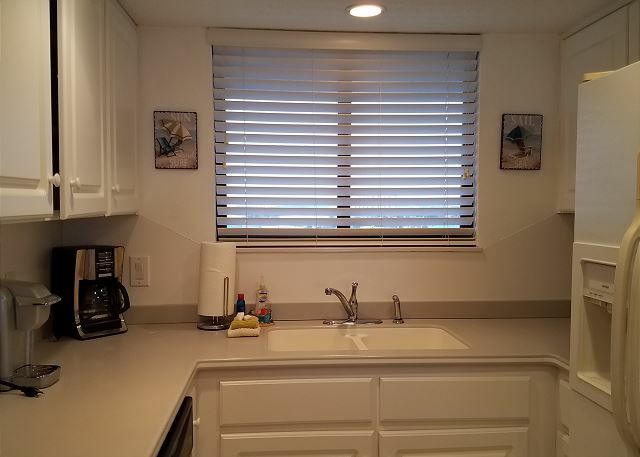 The condo kitchen is fully equipped with everything you need to do some cooking. 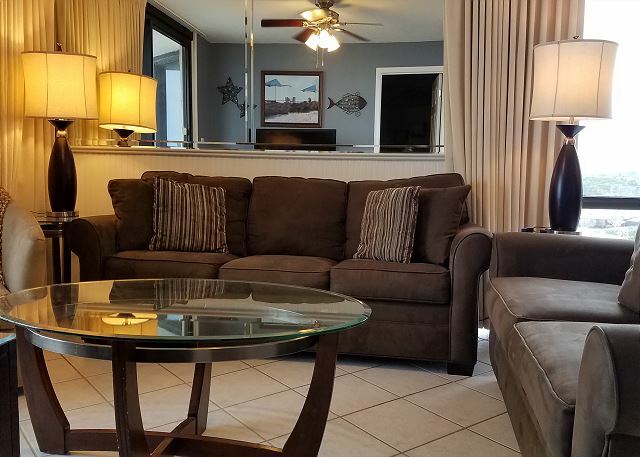 The condo has an easy access to the beach and included is 2 beach chair umbrella for your stay just need to make reservation. No loudsy noises through out the day/night which make the trip ever more pleasant. Great stay!!! I will definitely come back. Our stay at Sundestin was very nice. 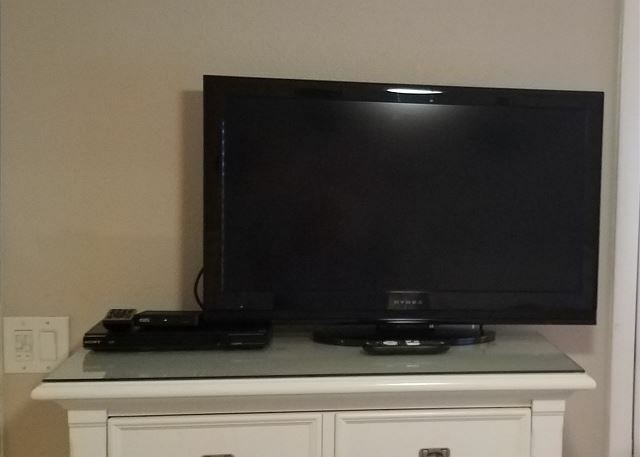 Stacey, from the management company Beach 'N Destin, went above & beyond when she physically came to the condo to help us in getting the TV to work, which was very nice and very much appreciated. 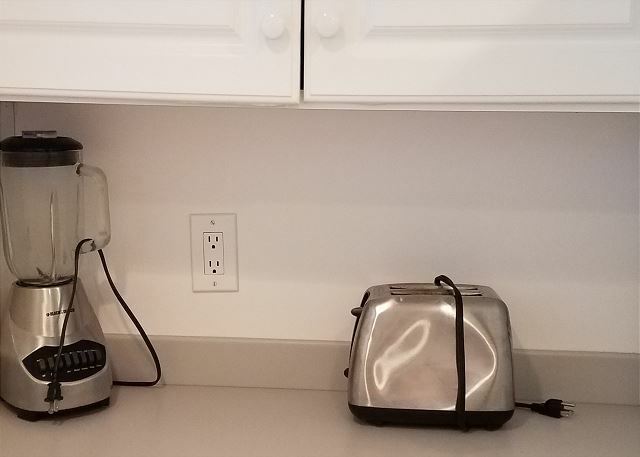 The property was very clean and well kept. To our surprise, the "Snowbird Dance" on Saturday night was a LOT of fun! I would have 2 suggestions - one would be to better equip the kitchen, we went out & bought another frying pan since there was only 1. The other would be to get some better-fitting sheets, perhaps after too much time in the dryer, they didn't fit very well & kept creeping up. All in all, we would definitely stay at Sundestin again. The condo was nice, great view.